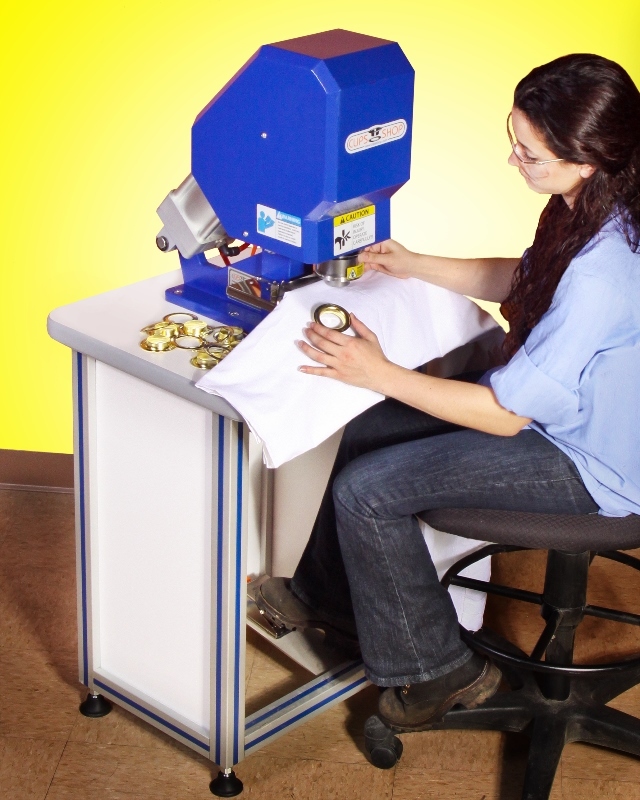 Suitable for applications on heavy fabrics, scrim vinyl, and many other substrates, the ClipsShop® CS-DAM-03 operates on shop air using a foot pedal and has a built-in safety system to help prevent accidents. This heavy duty machine includes a table with two storage drawers for grommets/washers and measures 51.75” x 21.25” x 21.25”. The ClipsShop® CS-DAM-03 is priced from $3,995.00 (list), depending upon configuration. Price quotations are provided upon request.